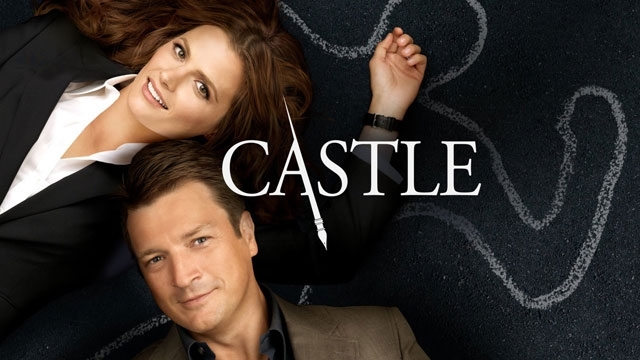 Last week saw the final episode of the American TV series Castle. A perfect blend of crime, drama and comedy, Castle has given Caius and I many hours of enjoyment – there were many evenings of binge-watching the earlier series as we tried to catch up with the TV and then it became something to look forward to each weekend when a new episode was aired. But what made Castle so good? The cast, obviously, played a massive part in the show’s success. The chemistry between Nathan Fillon and Stana Katic was nothing short of brilliant and the same goes for the faithful detective duo Seamus Dever and Jon Huertas (who have released a single together which made me giggle like a loon for hours). In fact, Dever and Huertas out-shone the rest of the cast on many occasions providing pure comedy gold and also making me cry when the going got tough – those two characters always had each other’s backs no matter what. The writers knew a good thing when they found it – having a detective writer follow a real detective around opened so many doors of opportunity. Times when real life gets so silly that if you wrote it in a novel people would say ‘that would never happen’ and times when having to think like a criminal to write a criminal makes you spot connections that other people would miss. The show was also littered with geeky references to other shows which always made me laugh and they also poked playful fun at the sheer proliferation of some crime/horror novelists quite frequently. Having actual authors play themselves at Castle’s poker games was total genius and made for some of my favourite scenes. Although I found those funnier than Caius who hadn’t twigged they were all actually playing themselves. I am a bit sad that it is all over but I think it reached a natural end and the great thing about TV shows these days is that you can always get the box-set and watch it all over again!